Proven as a leader in the building industry for the past 50 years, Ply Gem Windows extensive product line of windows and patio doors will give your home a stunning look, both inside and out. Featuring a full range of style and material options for replacement or new construction windows, Ply Gem products offer tailor-made solutions for every project and every budget. Stop by our new Design Center and view the styles available. You can pick the features you love and design a home facade masterpiece that’s entirely your own, one that reflects your personality and your home’s style. Homeowners also take comfort knowing that every Ply Gem product is designed for style, durability, energy efficiency and ease of installation. 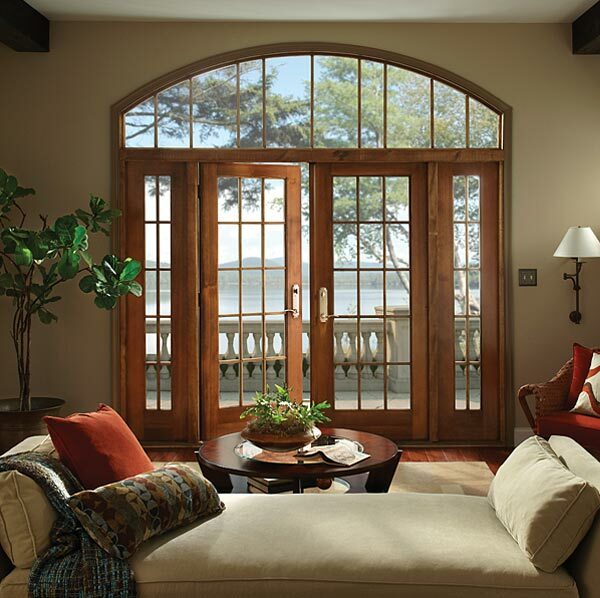 Many of the Ply Gem doors and windows meet or exceed the rigorous ENERGY STAR® guidelines for thermal efficiency in all climate regions and can be eligible for LEED for homes credits. According to the U.S. Department of Energy, heat loss through windows can mean a 10 to 25 percent increase in your home’s heating bill. Ply Gem products feature a high-performance Low-E glass that helps reduce this energy loss. This can increase your home’s comfort while decreasing your utility costs. Have A Question About Ply Gem Windows? Our resident millwork expert, John Morgan, and his capable team of experts are available to answer any question you might have. The entire Capps team has years of experience working with doors and windows to provide you with the answers you need to get that home project completed in no time. Give John a call at 540-721-2276 or email him to discuss your new design or window replacement project. Make your next outdoor home improvement project a snap by calling us to do all the heavy lifting for you. We offer complete Install Services on all the Ply Gem Windows we offer. Topic: Service for Ply Gem windows in Roanoke VA, Lynchburg VA, Bedford VA, Franklin County, Rocky Mount VA, Moneta VA, and beyond.